I realized that every single hour of the day until I basically went to sleep, I was "on." And that was a problem. Welcome to “How I Stay Sane,” a weekly column where real dads talk about the things they do for themselves that help them keep grounded in all the other areas of their life. It’s easy to feel strung-out, and unless you regularly take care of yourself, the parenting part of your life will get a lot harder. The benefits of having that one “thing” are enormous. 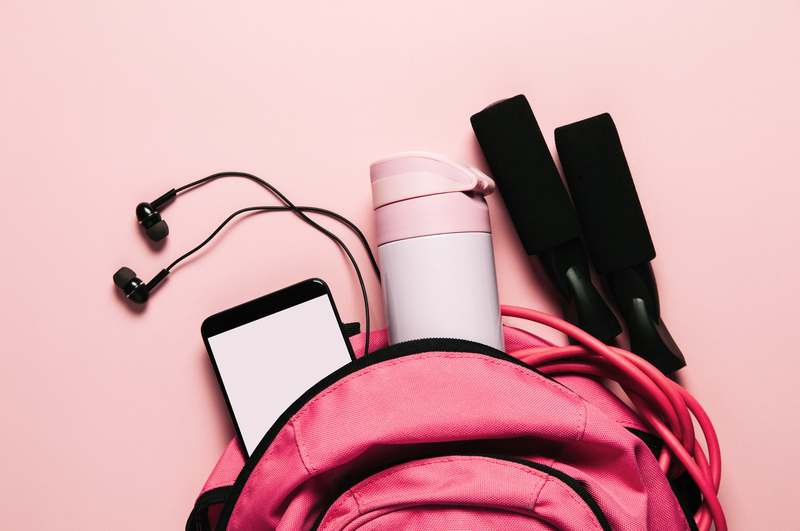 For Vivek Jain, a 40-year-old father of two, a business owner, and an all around over-scheduled guy, the off-the-cuff choice to keep his phone away from the gym helped him truly de-stress. I started working out regularly about two years ago. In the beginning, I’d take my phone into the gym with me. I’d start getting calls while on the floor. My mind would start wandering off and I’d check emails, texts — all that stuff. At some point, I realized I was just “on” all day until I went to bed. I began to wonder where I could get time just to clear my head. The physical side of going to the gym was great. I’d go and work until I dropped. I felt that, physically. But mentally, there was no opportunity for me to unplug. I realized at some point that the only time for me to potentially do that — and justify it to myself — was at the gym. That’s my only alone time. The reason I work out is to stay healthy, not to look like a bodybuilder. So, I just realized I wasn’t getting the mental health benefits of the workout. So I ditched my phone. I left it in my locker. In the beginning, having my phone with me during a workout wasn’t tough. But I’ve become increasingly busy over the past few years. It’s almost exponential: when I first started my business, I was okay. I was busy, sure, but it was exciting and new. Then, over time, it just snowballed. I had more and more things to do. I realized that, mentally, I was just drained. I couldn’t turn my mind off. Even when I went to bed, it took me a long time to be able to unwind and fall asleep. It was an adjustment for me to figure out how to manage it. In the beginning, I could go home and not have a call during a workout and it wouldn’t be so distracting. But when things started ramping up, we were around the clock for about six months. At some point in that process, I had to find some time to just regain my sanity. That’s why I decided on the gym. Literally, the first day I left my phone in my locker, I felt better. No texting. No calls. No calendar notifications. The relief of not having my phone near me for a full hour was really a load off my shoulders. I will admit that I absolutely had so much anxiety within the first two minutes of me ditching my phone that first day. I worried that some work emergency would break out. To be honest, I’ve never truly gotten over it, because as soon as my workout is done I go to my locker and check my phone. So it’s a little bit of a letdown because I do have to go from feeling really great post-workout directly to work — and there’s always some chain of messages and missed phone calls. I’ve never fully been able to let go of that anxiety; but I’ve just been really good at making sure that, at least for that hour, I’m not on it. It helps.